a culture and sensitivity may need to be performed to select a different type of antibiotic. 6. 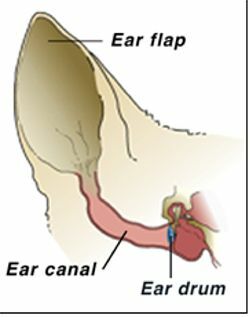 Cotton tip swabs can be used to clean the inside of the earflap and the part of the ear canal you can see. in the ear canal, rather than removing it. the ears. You may find your pet does not like to have their ears cleaned because it is uncomfortable. we do not want to reward fussiness) and doing something fun afterwards may also help. After the ear is clean, let your pet shake their head and allow some time for the ears to dry. resistance and may have to purchase a different, most often more expensive medication. Always use as directed.